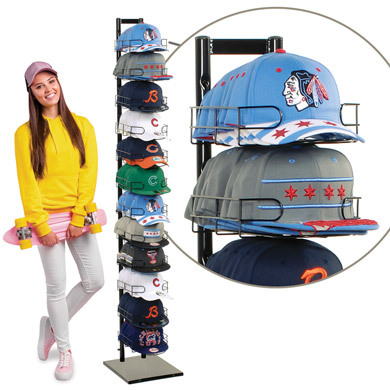 Show off up to 120 hats with the single sided cap tower! Our cap tower display allows customers to easily view the hat logos and access your product easily. Boost sales by allowing customers to touch and interact with your product. Each cap shelf is removable which makes adjusting simple and easy. the incredible features of this item!